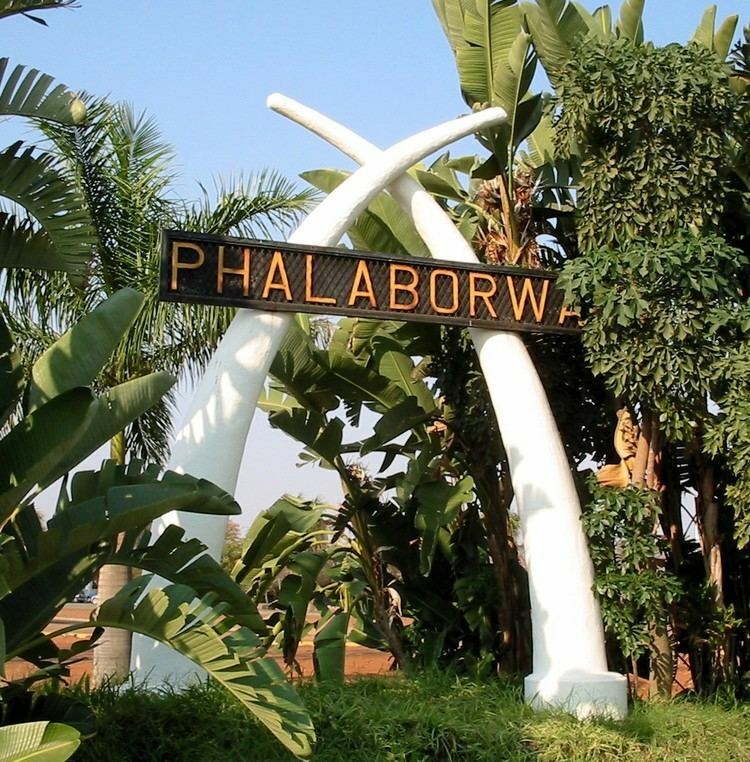 Phalaborwa is a town situated in the Mopani District Municipality, Limpopo province, South Africa. It is located near the confluence of the Ga-Selati River and the Olifants, halfway up along the eastern border of the Kruger National Park in the Lowveld. 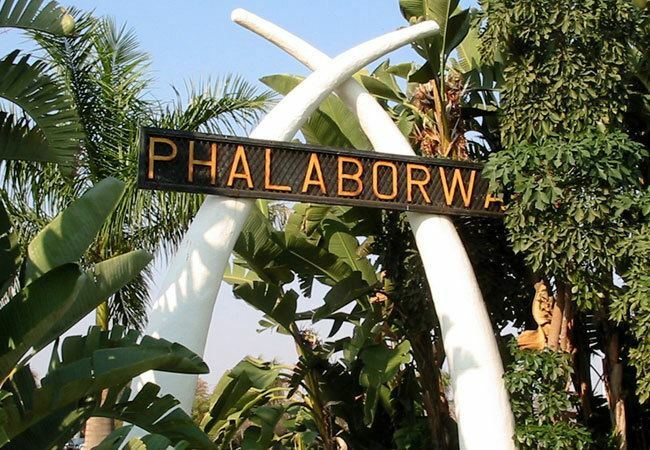 The name "Ba-Phalaborwa", given to the area by the Sotho tribes who moved here from the south, means better than the south. The Sotho mined and smelted copper and iron ore here as far back as 400 AD. Masorini, near Phalaborwa gate, is a reconstructed Ba-Phalaborwa hill village, with huts, grain storage areas, and an iron smelting site. There are two townships, Namakgale and Lulekani where the Pedi and Tsonga reside, and rural areas such as Mashishimale, Majenje, Makushane and Ga-Maseke. Originally a mining town and still home to Palabora Mining, the massive open pit mine is Africa's widest man-made hole at almost 2,000 metres wide. Tourism and wildlife play a dominant role in the life of this town. It is the only town in South Africa that borders the Kruger National Park, the Mozambiquan border is only two hours drive away. Lately, with the incorporation of various private game reserves into the conservancy area, Phalaborwa is all but enclaved by nature conservancies. The Hans Merensky Golf Estate is situated on the outskirts of the town. Nearby natural attractions are Blyde River Canyon, the Three Rondavels, God's Window and Bourke's Luck Potholes; the Tzaneen fruit farms and Hoedspruit game farms can all be visited within a day. Phalaborwa Airport is a commercial airport serving the town. It has daily scheduled services to OR Tambo Airport operated by South African Airways feeder airline, Airlink. The South African international cricketer Dale Steyn hails from Phalaborwa. This area, also known as the Valley of the Olifants, has the highest winter temperatures in South Africa. The rainfall is low and the average winter temperatures range from 9 °C to 26 °C. During summer the average temperatures vary from 20 °C to 33 °C with occasional heavy rainfall. The highest recorded temperature was 43 °C in January 2006.